Try the self paced, fast n' easy online course. 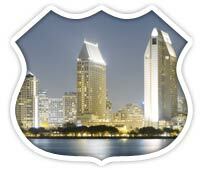 Getting your traffic violation dismissed by a San Diego court has never been easier! Our online traffic school is the perfect medicine to cure your speeding ticket blues. It's fast, convenient, and most of all, COURT APPROVED! Pass final test & state gets your completion certificate.